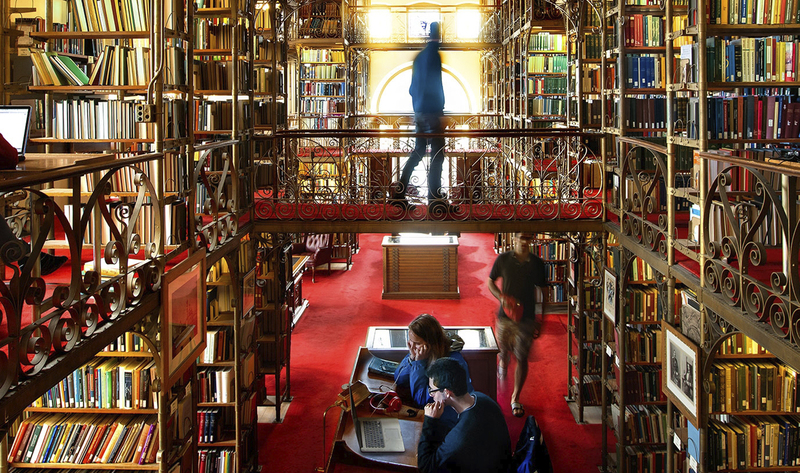 The Department of Classics at Cornell is one of the oldest in the country. It offers both the traditional core training in the languages, literature, philosophy, art, and history of ancient Greece and Rome, alongside newer approaches developed from the comparative study of Mediterranean civilizations, peace studies, gender studies, visual and material culture studies, critical theory, and anthropology. The broad range of instruction includes courses offered by professors with appointments in the Departments of History, Philosophy, Comparative Literature, History of Art, Linguistics, and Near Eastern Studies, and in the Programs of Archaeology, Medieval Studies, and Religious Studies. The department offers a wide variety of classical civilization courses in English translation on such subjects as Greek mythology, ancient medicine, ancient religion and magic, early Christianity, and Greek and Roman society; ancient epic, lyric, tragedy, comedy, satire, novels, love-poetry and scientific treatises; Periclean Athens, the Hellenistic Mediterranean, Republican Rome, the Roman Empire, and Plato, Aristotle, and Hellenistic philosophy. These courses are designed to introduce aspects of classical antiquity to students with very divergent primary interests. Courses in art, archaeology, and dendrochronology explore the visual and material culture of the ancient Mediterranean, from the Bronze Age Aegean and Archaic Greece to Hellenistic Egypt, Augustan Italy or the Byzantine Empire. These courses make use of the university’s large collections of ancient ceramics, sculpture, and coins, and of reproductions of sculptures, inscriptions, and other ancient objects. For example, since 1976 over 500 Cornell students have worked in the Aegean Dendrochronology Project’s laboratory, measuring the annual rings on thousands of samples of wood and charcoal, and using the rings to date structures as old as 7000 BCE. In the vacations selected students have participated in collecting trips around the eastern end of the Mediterranean (dendro.cornell.edu), and have visited ancient sites in Greece and Italy, as well as collections of antiquities in the United States. Students who wish to gain first-hand archaeological experience may also join one of several summer Cornell-sponsored field projects in Greece and Turkey. Students have also worked closely with Cornell’s collection of plaster-casts, helping to clean, digitize, and catalog them as well as preparing exhibits. The study of language is a vital part of classics. Offerings range from 1000-level classes designed to further the understanding of English through the study of the Latin and Greek sources of much of its vocabulary, to courses in linguistics on the morphology and syntax of the ancient languages, comparative grammar, and Indo-European (the reconstructed source of the family of languages that includes Greek, Latin, Sanskrit, and most modern European languages). The core function of the department is the study of ancient Greek and Latin. Elementary Greek and Latin are taught in both two-semester courses. (For students whose Latin is a bit rusty, the department also offers a rapid, one-semester review class.) Students with a more advanced knowledge of Greek or Latin can choose from a wide selection of courses, from intermediate language classes at the 2000-level, which refresh and broaden knowledge of syntax and vocabulary, to graduate and faculty reading groups. All of these courses concentrate on exciting literary texts, whether the poems of Catullus and Virgil, or the dialogues of Plato and Xenophon, at the 2000-level, or, in the advanced reading groups, the latest papyrological discoveries, such as the “new” fragments of Empedocles’ cosmic poem or the “new” epigrams of Posidippus. The primary purpose of language instruction is to make possible the study at first hand of the extraordinary range of powerful and challenging ideas embodied in Greek and Latin texts. The department offers undergraduate and graduate seminars on literary, linguistic, historical, and philosophical topics, studied through the Greek and Latin works of authors from Homer (probably from the eighth century BCE) to Boethius (sixth century BCE), and occasionally from later writers such as Dante, Petrarch, or Milton. The department strives to adapt its program to the needs of individual students from all disciplines. The major in Classics offers four tracks, which are Greek, Latin, classics, and classical civilization. Only classes passed with a C– or better may be applied to the classics major. One course must yield a seminar paper (see Seminar Paper). The classics track requires: (1) six courses in Greek and Latin numbered 2101 or above; (2) either CLASS 2675 /HIST 2650 or CLASS 2689 /HIST 2689 , (3) CLASS 2801 or CLASS 2802 , and (4) one further course in a related subject, selected in consultation with the student’s departmental advisor (see Related Subjects). Classics majors are required to take a minimum of two 3000-level courses (of 3 or more credits each) in one language and one 3000-level course (of 3 or more credits) in the other. See below for seminar paper requirement. Students who are considering graduate study in classics are strongly advised to complete the classics major. The Greek track requires: (1) GREEK 2101 ; (2) five courses in Greek numbered 2102 or above; (3) CLASS 2675 /HIST 2650 ; and (4) two courses in other related subjects selected in consultation with the student’s departmental advisor (see Related Subjects). The courses in Greek must include at least three at the 3000-level. See below for seminar paper requirement. The Latin track requires: (1) LATIN 1205 or LATIN 2201 ; (2) five courses in Latin numbered 2202 or above; (3) CLASS 2689 /HIST 2689 ; and (4) two courses in other related subjects selected in consultation with the student’s departmental advisor (see Related Subjects). The courses in Latin must include at least three, of 3 or more credits each, at the 3000-level. See below for seminar paper requirement. The classical civilization track requires: (1) CLASS 2801 or CLASS 2802 , (2) CLASS 2700 , (3) one course in ancient history at 2000-level or above, (4) one further course in either ancient history or Greek and Roman material culture at 2000-level or above, (5) one course on ancient literature in translation at 2000-level or above, and (6) five additional courses in classical civilization, classical archaeology, ancient history, ancient philosophy, ancient Greek or Latin (at 2000-level or above), or related subjects, selected in consultation with the student’s departmental advisor (see Related Subjects). Students are required to take at least three classes at 3000-level or above, and to take at least one class covering the period before the death of Alexander the Great in 323 BCE (i.e., on Bronze Age, Archaic or Classical Greek culture) and one class covering the period post-323 (i.e., on Hellenistic, Roman or Byzantine culture). Students are encouraged to take at least some courses in Greek and/or Latin, though this is not required. See below for seminar paper requirement. One of these courses must yield a seminar paper whose minimum length is either 3000 words or 10 double-spaced pages in 12-point font, to be completed by the end of the first semester of your senior year and approved by the DUS. Please consult your advisor or the DUS for information on qualifying courses. The Minor in Classical Civilization consists of six coherent Classics courses, excluding 1000-level courses. Only classes passed with a C- or better may be applied to the Classics minors. To initiate either minor, the student selects a minor adviser from the Classics faculty, and in consultation with the adviser draws up a program of courses in the preferred track. The courses selected should form a coherent cluster that makes sense to both the adviser and the student. To be admitted to the minor, the student and adviser then submit this plan of study to the Classics Director of Undergraduate Studies for approval. Students who complete the minor requirements will have their minor in Classics or Classical Civilization represented on their transcript. Classics is an interdisciplinary field concerned with the study of Mediterranean civilizations from the 15th century BCE to the sixth century CE. Subjects in the field include Greek and Latin language, literature, and linguistics; ancient philosophy, history, archaeology, and art history; papyrology, epigraphy, and numismatics. In addition to the required courses in language and literature, the majors include a requirement for related courses intended to give breadth and exposure to the other disciplines within the field and to enrich the student’s study of classical languages and literature. Since the influence of the Greek and Roman world extended far beyond antiquity, a related course may focus on some aspect of the classical tradition in a later period. Students select related courses in consultation with their departmental advisors or the director of undergraduate studies. Candidates for the degree of bachelor of arts with honors in classics, Greek, Latin, or classical civilization must fulfill the requirements of the appropriate major and complete the two-semester honors course, CLASS 4721 –CLASS 4722 . (Credit for the honors course may be included in the credits required for the major.) Candidates for honors must have a cumulative average grade of 3.0 and an average of 3.5 in their major. Students choose an honors advisor by the end of their sixth semester, in consultation with the departmental honors committee or the DUS. By the second week of their seventh semester, they submit an outline of their proposed research to their advisor and the committee. The thesis is written in the second semester of the course, under the supervision of the student’s honors advisor. The level of honors is determined by the committee, in consultation with students’ advisors. Copies of successful honors theses are filed with the department. Further details about this program are provided in the brochure Guidelines for Honors in Classics, available in the department office, 120 Goldwin Smith Hall, or on the department website. Independent study at the 3000-level may be undertaken by undergraduates upon completion of one semester of work at the 3000-level in the relevant field and only with the permission of the director of undergraduate studies. Cornell is associated with four programs that provide opportunities for summer, semester, or year-long study abroad in Greece and Italy. The American School of Classical Studies at Athens offers a summer program for graduate students and qualified undergraduates; College Year in Athens offers semester-long courses (consult Cornell Abroad for details). The Intercollegiate Center for Classical Studies in Rome provides semester-long courses in Latin, Greek, ancient history, art, archaeology, and Italian; the American Academy in Rome offers both full-year and summer programs for qualified graduate students. The Department of Classics awards several travel grants each year for graduate students from the Townsend Memorial Fund; undergraduates are eligible for the Caplan Travel Fellowships (see “Caplan Fellowships,” below). Detailed information on these programs is available in the department office, 120 Goldwin Smith Hall. The department also funds several students to study Latin or Greek during the summer vacation each year, and has strong connections to the Paideia Program of spoken Latin and Greek courses, which take place in Italy and Greece respectively. Placement of first-year undergraduates in Greek and Latin courses is determined by examinations given by the Department of Classics during orientation week or by arrangement with the Administrative Assistant to the Director of Undergraduate Studies. For details concerning these examinations, contact the director of undergraduate studies. Ancient Greek: Option 1 is satisfied by taking GREEK 2101 or above. Option 2 is satisfied by taking (a) GREEK 1101 , GREEK 1102 , and GREEK 2101 . Latin: Option 1 is satisfied by taking LATIN 2201 or above. Option 2 is satisfied by taking LATIN 1201 , LATIN 1202 , and LATIN 1205 . The sequence LATIN 1204 –LATIN 1205 does not satisfy Option 2. Students can place into LATIN 2201 with an A– or better in LATIN 1202 or LATIN 1204 . Upon completing LATIN 2201 , they satisfy Option 1. LATIN 1204 overlaps with LATIN 1202 and therefore cannot be taken (or counted toward the degree) after completing LATIN 1202 . The department offers first-year writing seminars on a wide range of classical and medieval topics. Consult the John S. Knight Institute website for additional information. The Harry Caplan Travel Fellowships are awarded annually to one or two outstanding juniors by the College of Arts and Sciences for summer travel or projects in Europe or the Near East. Interested juniors should consult the director of undergraduate studies.